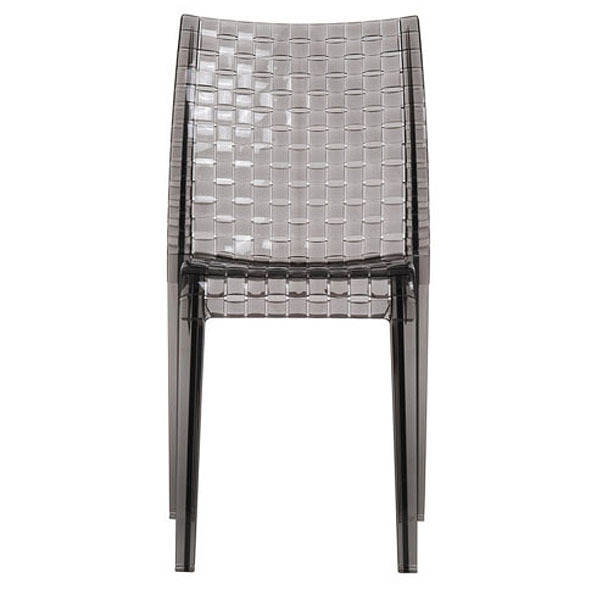 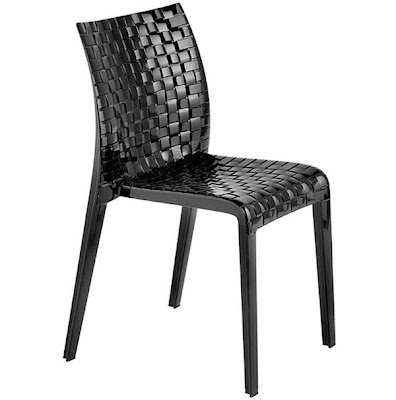 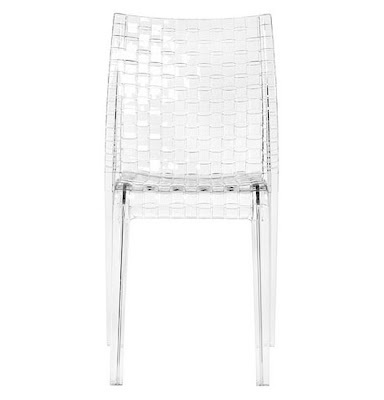 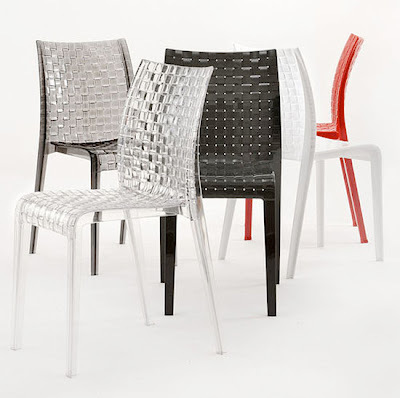 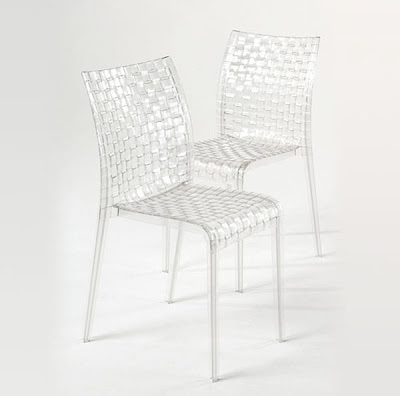 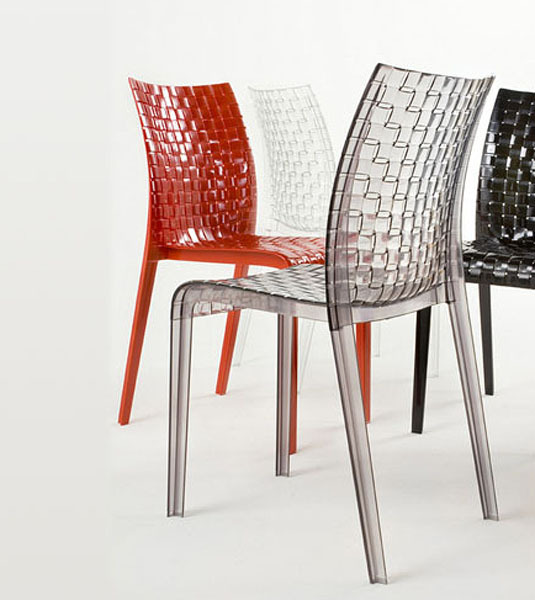 Original Design AMI-AMI Italian Modern Stacking Chair from Kartell - The complex yet sophisticated Ami Ami dining room or accent chair was designed by Tokujin Yoshioka for Kartell in Italy. Kartell's Ami-Ami (aka AMIAMI) is inspired by the play of wrap and weft in woven fabric, Tokujin Yoshioka wanted to use this stylistic symbol typical of his culture, weaving , and thus creating it in the Ami Ami chair whose name in Japanese literally means "weave". 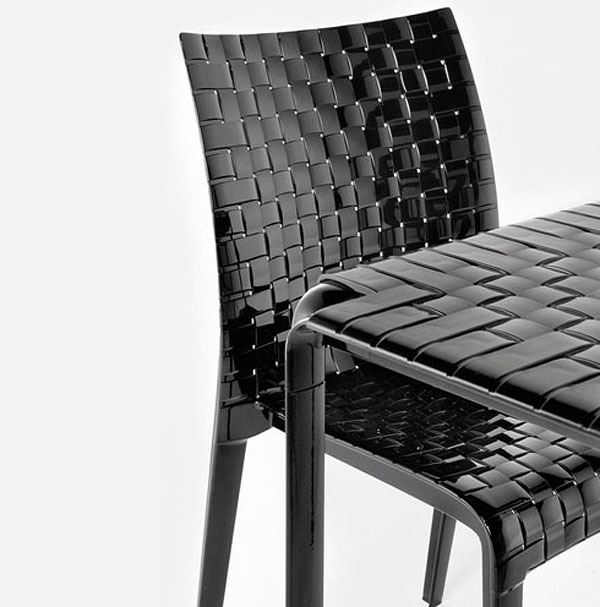 The simple squared off lines contrast with the rich texture of the weaving reproduced on the inner and outer surfaces through a complex industrial process recreating the motif with a single mold. 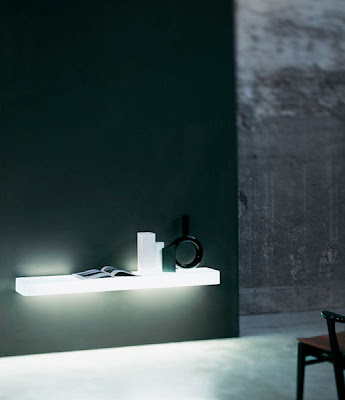 Ami Ami combines the appeal of oriental culture with the use of innovative materials like polycarbonate and comes in two transparent clear and smoked versions and three matte versions of white, red and black. 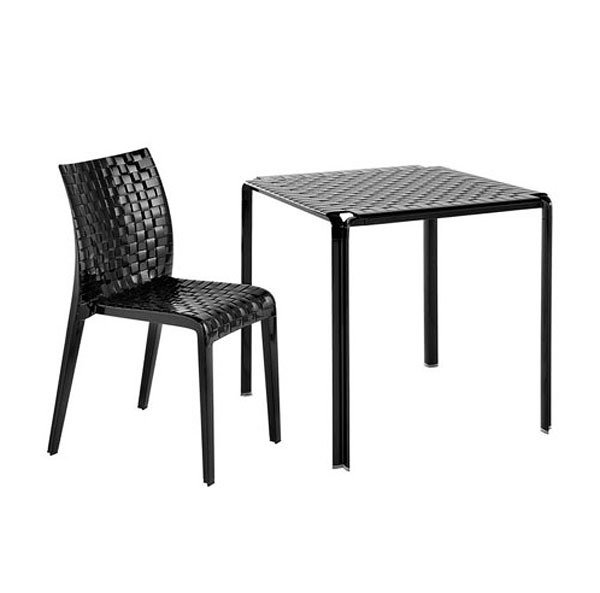 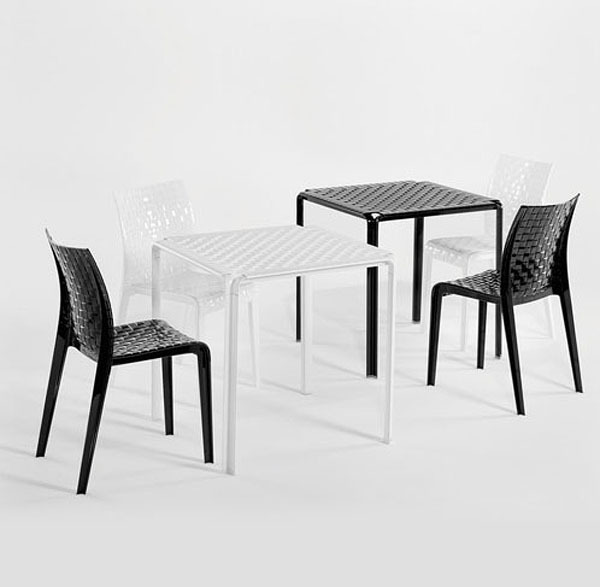 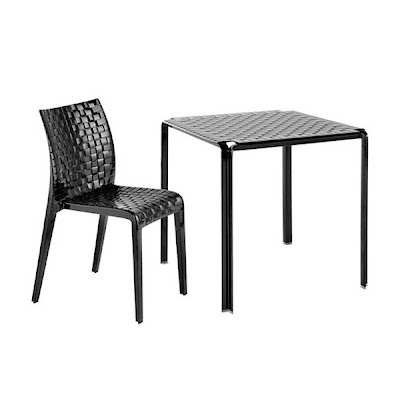 The Ami Ami seat matches the table with a square polycarbonate top measuring 70x70(cms) covered by the weaving motif and painted aluminum legs.